This post originally appeared in JD Supra. One of the biggest challenges that lawyers face in this environment is that it seems like everyone is thumping their chest and claiming the mantle of “expertise” online, especially on social media. "Expert" has become the new "hero" or "brilliant" or "genius"—an overused and increasingly irrelevant epithet that's easy to ignore, especially when it's self-proclaimed. Accordingly, it's more important than ever to ACTUALLY BE AN EXPERT and to show—not tell—how your expertise solves the problems of those you hope to serve. A lawyer who is a thought leader is an industry expert who freely shares his or her expertise with a broader audience for the purpose of educating, inspiring, and adding value in order to help those competing in the industry become more successful. 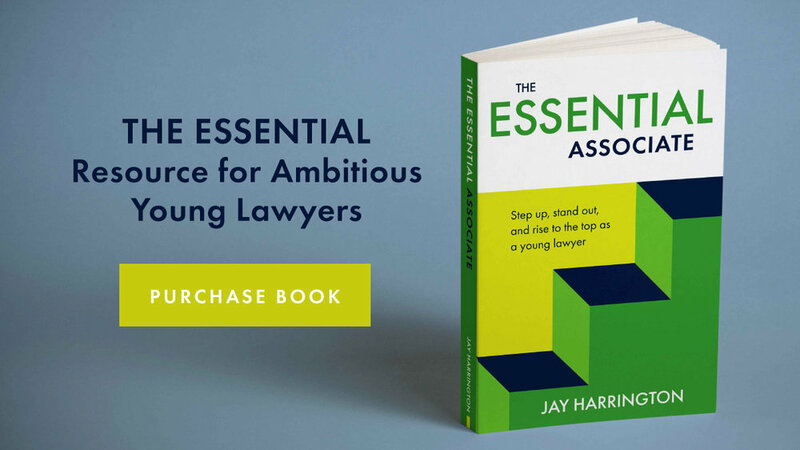 Thought leaders don’t merely dabble—they are lawyers who fully immerse themselves in industries and understand how legal issues impact business performance. They know who the decision makers are, what they read, what is keeping them up at night, and where things are headed. Cultivating a reputation as a thought leader is the best form of legal marketing because it allows a lawyer to create a credible, authentic relationship with prospects and meet them where they are, which is online, in control, and searching for solutions to the challenges they face. Between the alternative of a lawyer who merely claims to be an expert on his website bio and another who demonstrates her expertise in an article packed-full of insightful information, who do you think a prospective client is going to reach out to? Pick a Niche. The first rule in becoming a thought leader is understanding that you can’t serve everyone. Experts dive deep in narrow domains. They don’t spread themselves thin and water down their message. By immersing themselves in a single industry, they’re not always trying to get up to speed on the issues—rather, they’re able to see what’s coming next, and others look to them for guidance. By focusing on a narrow niche, a lawyer can contextualize his legal advice for the industry he’s focused on. And in the noisy and cluttered marketplace of ideas, a lawyer can only stand out by communicating directly to a narrowly-defined audience. Freely Share Your Knowledge. Many lawyers resist “giving away” their best ideas for fear that clients will take those ideas and simply do the work themselves. This may happen from time to time, but in most cases prospects aren’t seeking out answers online because they’re looking to do it themselves. They’re looking for the right expert to do it for them. And by demonstrating that she knows her stuff through her thought leadership, a prospect will have greater confidence that she’s the lawyer for the job. Write articles. Give speeches. Seek out podcast interviews. Write a book. Understand what questions your niche audience is grappling with, then inject yourself into the conversation with helpful answers. By doing this, you won’t lose opportunities for work. Rather, you’ll position yourself as the only viable option. Build a Following and be Consistent. Lawyers don’t build reputations as thought leaders because they claim to be one—they earn the moniker because of what other people have to say about them. And the only way to get people talking about your ideas is to show up regularly. By consistently publishing content, and by staying engaged on social media (especially LinkedIn), a lawyer can start to build a following that will share and praise his work online. Thought leaders are in it for the long haul. They don’t publish one or two blog posts and expect something magical to happen. They hustle and grind and build a big body of high quality work that creates the unmistakable impression that they are an expert worth listening to. More importantly, they stand out as the obvious choice when it comes time for a prospect to decide who the best lawyer is for the job. Bonus Tip: Publish Most of Your Content on Third-Party Platforms. Many lawyers who aspire to be perceived as thought leaders publish most of their content on their firm’s website or blog. This occurs for several reasons. First, it’s easy. Second, they believe that there is an SEO benefit to having more content on their own platforms (which is true but short sighted). Third, they don’t take the time to explore the alternatives. A better approach is to publish most content on third-party platforms. Executives, entrepreneurs, and other consumers of legal services are busy. When they spend time online, they’re visiting sites they know and trust—platforms (like JD Supra) that aggregate the best of what’s available online in one place. By understanding where members of their niche audience consume their information, lawyers can seek to publish their thought leadership there. By having their byline appear on a platform that the audience they are trying to reach already trusts, lawyers can leverage the credibility that those platforms already have with their audience, thus helping the lawyer to build trust with new audience members. The content that is shared on those platforms creates a digital breadcrumb trail back to their own websites. Becoming a thought leader-lawyer is not easy. If it was, there would be more of them. But it’s certainly not impossible. By picking a niche, freely sharing knowledge, being consistent, and building a following, a lawyer can build influence and authority, and make a bigger impact online. It’s worth the effort, because in the competitive world in which lawyers compete, the best form of legal marketing is positioning oneself as the undeniable expert. Looking to create a dynamic and effective law firm website, on-time and on-budget? Contact Jay Harrington at 313-432-0287 or jay@hcommunications.biz to discuss your objectives and learn how we help law firms compete and win in the battle for attention online.